Recovering Working Mom: Beach Bummed . . .
Beach Bummed . . . It's the first official day of summer, and mommy has survived the first full week of summer vacation. I'll just admit that mommy hasn't quite broken open the case of Skinny Girl, but she's REALLY thankful that next week is a full week of Summer Camp! To start out the summer vacation, we HAD to do nothing other than . . . go to the beach, of course. But, what happens when it's 1 day in to summer vacation and you really piss the mommy off?! Well, lets just say that the Id (the baby) found out! Little booger spent the entire time at the beach in that chair reading a book. Mommy is so mean she didn't even let her make a sandcastle!! First we'll start with the "Nots" since they were the hardest lessons. 1) Go to a family wedding without your husband and children. For if you do, you may find out that you have come home to welcome a new member of your family. Meet Bubbles/Nibbles/Elvis/whatever name the children have come up with that day to strike their fancy. I KNEW I should not have responded when Husband from Heaven texted "so, can I buy hamsters?" 2) Buy the f*&#ing Wacky Foam sunscreen!! 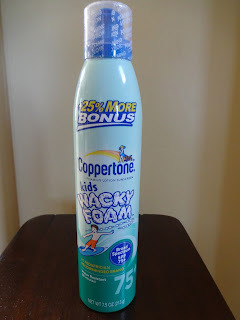 This sh*t was created by some idiot who clearly hasn't ever put sunscreen on a squirming kid! Two words . . . huge f*&#ing mess! Oh, that's 3 words, but the one in the middle doesn't count! 3) Allow the baby to play with the brand new rubber Gaga ball in the driveway. For if you do, it is likely to roll under the car while the exhaust pipe is still hot and melt the plastic! 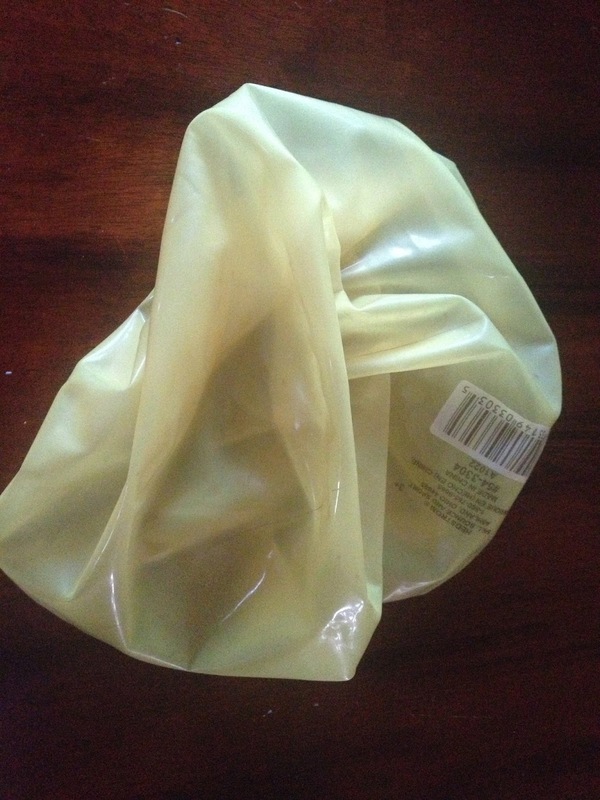 Time of ownership of said rubber ball before mishap - 15 minutes. D@MNIT! 4) Purchase commercial "sacks" for potato sack races. They just don't make them like they used to! That is the sack ripped in half. Only two of the four survived. Elapsed time for children to use and destroy potato sacks - 4 kids and 8 minutes. D@MNIT again!! 5) Tie dye your legs and then plan a dentist appointment for the children soon after a tie dye play date! For if you do, you may not have time to wash your legs and will find that people believe you look like this because it's your first day using a razor. It's been 3 days and I STILL have that sh*t on my legs!! Of course, there are a few must haves that I have also discovered in my short summer stint, and this list will only grow, I'm certain. 1) Case of Skinny Girl. Several different varieties, last time I checked our local grocery store was having a 30% off sale! 2) Beach Reading on your kindle or phone (so as to be inconspicuous). My favorites that I have recently read (Note to my mother and mother in law, close your eyes for this part) are Ex on the Beach by Kim Law and the first two books of the Stark Trilogy by J. Kenner (and don't blush, you know you all read these books, you're just not willing to admit it - so, I'll let you hide behind me)! And no, I didn't get paid to suggest these books. I truly loved them! 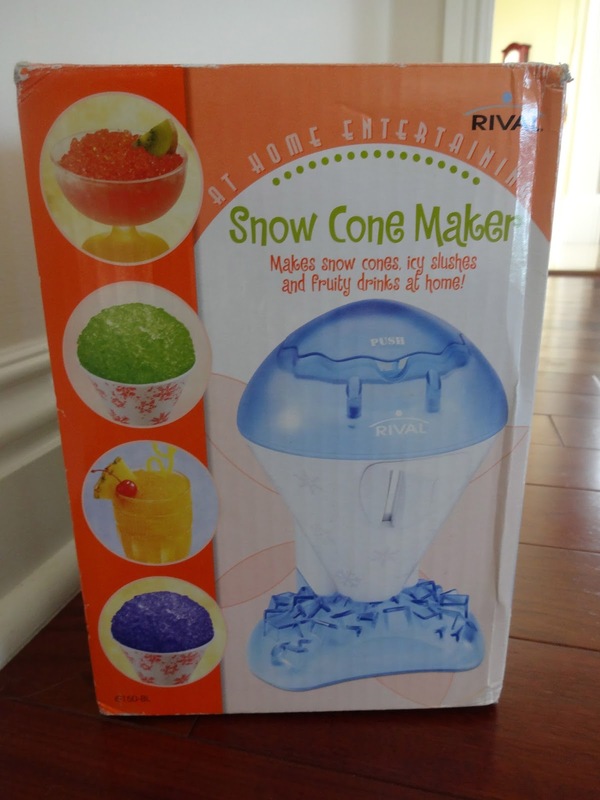 3) Snow cone machine!!! Cheapest entertainment for the kids and their friends will be awed at how you make them!! I hope your summer is off to a fantastic start and I'm now off to a first week of summer girls night celebration for some mommy style snow cones! !